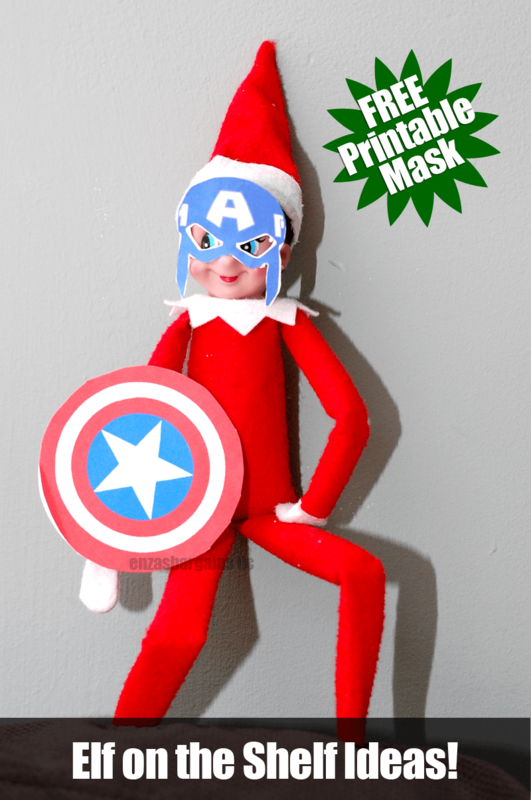 Every single person should have their own Elf on the Shelf Captain America Mask! We are a family filled with Marvel fans so when coming up with our Elf on the Shelf ideas it was important that we were able to bring in some of the Avenger characters! 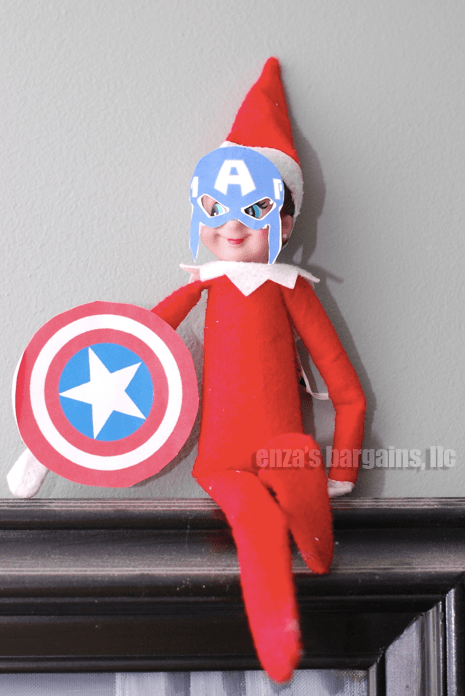 Captain America is a classic just like your little cute (and creepy…lets not lie) Elf is at your home! Technically they both superheroes of some sort, right?! 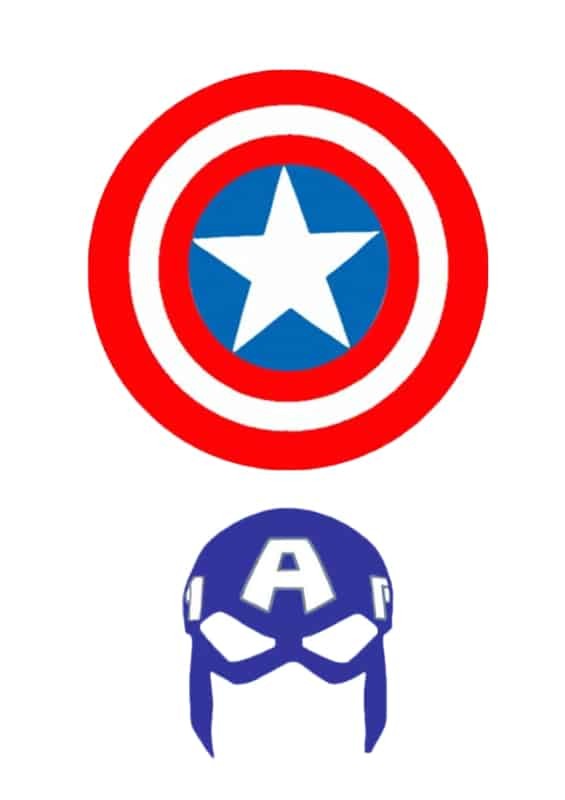 When digging for some Captain America ideas I was limited on what I could find! 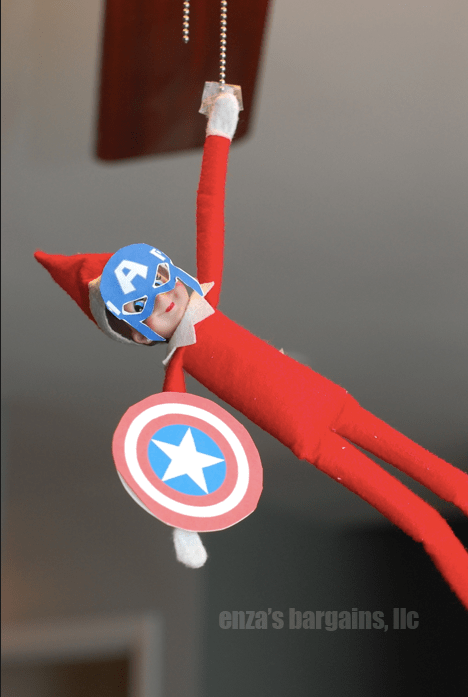 I decided I needed to create my own Elf on the Shelf Captain America mask to print out so why not give you this FREE printable! There are different ways you can pose your Elf! If you want to it to look like your Elf was swinging in a fan or window covering string would be cute! I wanted a little bit more fun with the post so I went with the hand on the hip this time around! Spread the Marvel fun to your house too! 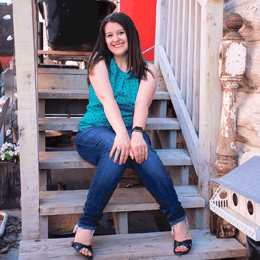 Be sure to come and share your pictures with me because I can’t wait to share them! Be sure to also check out my Elf on the Shelf Spiderman Mask to print for another day of fun with your elf! What a load of cogswoggle. 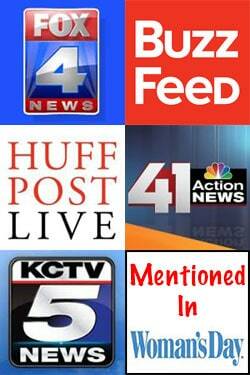 You’ve got TONS of people checking out your blog!!! THANK YOU for the shield and mask!!! !